Antigo Area Community Food Pantry October 10th 11am-1pm (Wednesdays) & October 12th 1pm-3pm (Fridays), 2120 Progress Blvd., Antigo (715) 623-1103. Elcho Area Community Food Pantry October 8th & October 15th 10:30am-12:30pm (Mon. ), October 10th 4-6pm (Wed.), 11224 Antigo St., Elcho. Call (715) 610-5886 for more information. Hanson’s Corn Maze Monday-Saturday through October 31st 8am-5pm Mon.-Fri., Sat. 9am-4pm Hanson’s Garden Village, 2660 Cty. Rd. G, Rhinelander. Come to Hanson’s fun indoor pumpkin patch and pick out everything for your fall decor needs! We keep our pumpkins inside to protect them from frost and keep them lasting throughout the season. Bring your kids to play in our free Children’s Straw Bale Maze while you shop! Come experience Rhinelander’s own corn maze! Over 2 acres of fun with a challenging scavenger hunt! Can you find all 15 checkpoints hidden in our labyrinth? $5 entrance fee. Children 2 & under free. Also, On Saturdays, enjoy our corn maze combined with a tractor hay ride! $7 per person – Children 2 & under free for a corn maze combined with a tractor hay ride! Hop on our hay wagon and get pulled behind our tractor through our field to enjoy the fall colors! See our new Scottish Longhorn Cattle including two baby calves! For more information, please call 715-365-2929 or go to www.hansonsgardenvillage.com. Insurance Pre-licensing: Insurance Principles for Pre-licensing Class October 8th 8:30am-5pm Northcentral Technical College, 312 Forrest Ave., Antigo. Insurance Principles for Pre-licensing meets the 8 hour state laws & ethics portion of the state requirements. To complete the 20 hour requirement, one or more of the 12 hour major product line courses (Property Insurance, Casualty Insurance, Life Insurance, Accident & Health Insurance) would need to be completed. The cost of the class is $119. For more information, please call 715-623-7601. Mahjong at the Langlade County Senior Center October 8th 1-3pm Langlade County Senior Center, 1225 Langlade Rd., Antigo. Come and learn how to play. For more information, please call 715-627-6632. Ice Age Trail Alliance Mobile Skills Crew Project October 9th-14th 8am Veterans Memorial Park/Jack Lake, N8375 Park Dr., Deerbrook. Trail construction activities begin each day around 8am and typically wrap up between 4 & 5pm. On Sunday, work ends by noon. The Langlade County Ice Age Trail Chapter of the Ice Age Trail Alliance will be hosting a Mobile Skills Crew Project this year in the area of Veterans Memorial Park. The project will involve rerouting over half of the Ice Age Trail’s Old Railroad segment. This event is all-hands-on-deck and a huge opportunity! Please join us for all 5 days, a day, or a half day to help reroute nearly 7 miles of the Ice Age Trail. Registration for the event is open at https://www.iceagetrail.org/event/mobile-skills-crew-old-railroad-segment-langlade-county/. There is need for trail builders, skilled workers, kitchen staff, greeters, bakers, registrars, tools clerk, drivers, and ATV/UTV operators. Working crew members will be fed 3 meals daily and be allowed to park their tents and campers in the base area at no costs. For more information, please contact the Langlade County Ice Age Trail Chapter Coordinator Joe Jopek at 715-623-2645. Insurance Pre-licensing: Life Insurance Oct 9th & 10th 8:30am-5pm Tues., 8:30am-12:30pm Wed., Northcentral Technical College, 312 Forrest Ave., Antigo. The state requires all licensing candidates to complete 20 hours of pre-licensing education (8 hours of state law & ethics and 12 hours of terminology and product knowledge) in preparation for taking the State of Wisconsin examination for licensure in that related line of business with the Office of the Commissioner of Insurance. This course meets the 12 hour product and terminology portion of that requirement for Life Insurance. To complete the 20 hour requirement this course should be taken in addition to the Insurance Principles for Pre-licensing. Licensing in Wisconsin will allow the agent to sell and service products and work directly with the consumer. This course is not valid for insurance continuing education hours. The cost is $149 (textbooks included). For more information, please call 715-623-7601. Coffee Klatch for Seniors October 9th & October 11th (Every Tues. & Thur.) 9-11am Langlade County Senior Center, 1225 Langlade Rd., Antigo. Come and enjoy some coffee and conversation with others. For more information, please call 715-627-6632. Strong Bones with Kathy October 9th & October 11th (Every Tues. & Thur.) 9-10am Langlade County Senior Center, 1225 Langlade Rd., Antigo. Strong Bones is an ongoing strength training program designed to help adults become or stay fit, strong & healthy. Individuals will improve muscle strength, bone density, self-confidence, sleep and vitality. Also, participants have shown a decreased risk of diabetes, heart disease, arthritis, depression & obesity. Classes are offered for an hour, twice a week. Pre-register by calling the Aging and Disability Resource Center at 715-627-6232. Stepping On Workshop Tuesdays through October 23rd 10am-Noon Peace Lutheran Church, 300 Lincoln St., Antigo. Take a Stepping On workshop. Stepping On can help you avoid dangerous and costly falls, so you can keep doing the things that you love to do. In just 7 weeks, you will learn to identify & remove or avoid fall hazards in your home and outside, learn how vision, hearing, medication & footwear affect your risk of falling, learn strength & balance exercises you can adapt to your individual level and learn to get back up on your feet the right way if you do fall. You’ll regain the confidence to stay active in your community and do the things you want to do. Suggested contribution for the 7 week session is $10. To register, contact The Aging & Disability Resource Center at 715-627-6232. Library Gaming Club October 9th 3:30-5pm Antigo Public Library, 617 Clermont St., Antigo. Come and play games! Multiplayer video games and board games both classic and modern. For more information, please call 715-623-3724. Basic Welding October 9th, 11th, 16th & 18th 5:30pm – 8:30pm Northcentral Technical College, 312 Forrest Ave., Antigo. Northcentral Technical College (NTC) will be hosting a basic welding course designed to help you learn the proper welding techniques in a variety of processes. The session(s) will feature customized instruction in specific areas of interest. This provides the most flexibility for you to learn in the areas that you most prefer. The cost is $75. For more information, please call 715-623-7601. An Investor’s Tour Of Mutual Funds October 9th 6-8pm Northcentral Technical College, 312 Forrest Ave., Antigo. A detailed look at the features, benefits and risks associated with mutual funds as well as a map to mutual fund selection. The cost is $5. For more information, please call 715-623-7601. Blood Pressure Clinic October 10th 9am-Noon Antigo Fire Department, 700 Edison St., Antigo. For more information, please call Lisa Vollmar at 715-350-7315. Ascension Saint Mary’s Hospital Blood Drive October 10th 10am-2pm Ascension Saint Mary’s Hospital, 2251 North Shore Drive, Rhinelander. To schedule your donation appointment, please call 800-280-4102 or go to www.save3lives.org, click “Locate a Blood Drive” and use Sponsor Code ON09. Preschool Story Time October 10th 10:30-11:15am Antigo Public Library, 617 Clermont St., Antigo. Join us for story time at the Antigo Public Library! This is a great way for kids who haven’t started school yet to meet & socialize with peers. Every week we’ll read 2 or 3 books together as well as doing some songs & movement. We also do a simple craft or coloring page that helps kids develop creativity & motor skills, & occasionally (attendance permitting) other activities such as parachute play. This event is geared towards preschoolers, but older or younger kids are welcome to attend as well. Bingo at the Langlade Co. Senior Center October 10th 1-2:30pm Langlade County Senior Center, 1225 Langlade Rd., Antigo. Car Seat Fitting and Checks October 10th 4-6pm Antigo Fire Department, 700 Edison St., Antigo. Free car seat checks and sitting performed by certified staff. Some car seats available at reduced cost. For more information, please call Linda at 715-623-3633 ext. 140. Mastering Diabetes Summit October 10th 5pm Antigo Public Library, 617 Clermont St., Antigo. Mastering Diabetes Summit featuring video speakers. Presentation will begin at 5pm at the Antigo Public Library. A light lunch will be served. October 10: Dr. Joel Fuhrman, October 24: Dr. Ron Weiss. To register please call Nett Janssen at 715-850-0734. Play & Learn October 11th 9:30-11am N4013 Hwy. 45, Antigo. Play & Learn is a weekly play group program for parents, caregivers & children from birth to age 5. Staff will provide a parent lesson, an activity for parents & children to do together. The activity will build skills for school readiness & milestone achievement. Quarterly Ages & Stages questionnaires are made available to parents & caregivers to assist families in helping their children to reach age based development milestones. Join the conversation on Facebook – Northwood’s Family Resource Centers http://www.facebook.com/NorthwoodsFRCN. For more information, please call 715-627-1414. Cards, Dominoes & Game Playing Program October 11th (Every Thurs.) 1-4pm Langlade County Senior Center, 1225 Langlade Rd., Antigo. Have you been looking for someone to play cards & games with? Here is your chance to meet others and share your love for cards, dominoes & games. For more information, please call 715-627-6632. Ladies Night Out October 11th 5-8pm Rustic Allure, Tricia’s Treasures & Bistro and Flowers from the Heart, Downtown Crandon. Join us Thursday evening at these three stores for in store specials, refreshments, hors d’oeuvres, wine tasting, savings & lots of fun. Family Fun Night October 11th 5:30-7pm T. B. Scott Library, 106 1st St., Merrill. Can’t make it to the Library during the daytime? Enjoy free family fun at the T. B. Scott Library monthly from @ 6pm – 7pm on the 2nd floor in the Youth Services Department. Under age 3 must be accompanied by an adult. Join Science Guy Jim Lenz for a magic show that incorporates science fun and learn a little about rocketry. (Part of our Wisconsin Science Festival offerings.) For more information, please call 715-536-7191 or go to http://tbscottlibrary.org. Langlade County Senior Center October Fest Party October 12th 2-4pm Langlade County Senior Center, 1225 Langlade Rd., Antigo. There will be a flag ceremony by local veterans, music by the Stone Soup Brothers band and refreshments. All veterans are invited to attend and will be recognized for your service to our country. Elcho UCC Church Men’s Club Friday Night Fish Fry October 12th 5-7pm Jack Lamar Elcho Pavilion, N11283 Dorr St., Elcho. “Fish Fry and Shrimp” (fried or broiled), fries, coleslaw, & custard for $10 per plate with other options available at an additional cost. Opens at 4pm. For more information, please call 715-275-3134 or 715-216-1344. The Box in the Wood Theatre Guild presents: “Ice House” October 12th & 13th 7pm and October 14th 2pm Mielke Arts Center, N5649 N. Airport Rd., Shawano. “Ice House” is a hilarious play written by Peter Bloedel, a Theatre Arts professor at Bethany Lutheran College in Mankato, MN. “Ice House” is about 6 lifelong friends who all live in neighboring towns in Minnesota and love to go ice fishing together. However, Oskar has moved to Florida to care for Ingrid and “the guys” are hatching a plan to get him home – to “Liberate the Viking!” They have devised a plan to build the ice house of Oskar’s dreams – not just a little shack, but a HOUSE on the ice – complete with running water, a working toilet and a sauna – all while keeping it a secret from their wives. There are mistaken identities, secret plots being hatched and men sneaking around at night to make clandestine phone calls to Florida. For more information, please call 715-526-2525 or go to www.shawanoarts.com. Haunted House at Evil Falls October 5th-27th (Fri. & Sat. nights) and October 31st 7-11pm 215 S. Railroad Street, Eagle River. Welcome to Evil Falls – House of Tormented Souls – HAUNTED HOUSE. It’s been said, “The Evil” can use a lost soul to feed their own, extending their physical being indefinitely. All through the ages of time, man has struggled to keep balance of mind, body and spirit. These three chattels together create a whole being. Take one away…the two remaining fail to flourish. In the depth of turmoil, the soul and being have been known to part. Waiting in the shadows to hoard the dissection is…THE SOUL COLLECTOR. He is waiting for you! Covered and outside waiting line. Concessions are available. Admission is $11. Raising funds for the Northland Pines School Drama & Musical Productions. Call 715-477-0808 or 715-617-3182 with questions or go to http://www.evilfalls.com. Wingra Wind Quintet October 12th 7:30-9:30pm Three Lakes Center for the Arts, 1760 Superior Street, Three Lakes. The Wingra Wind Quintet is one of three faculty chamber ensembles in-residence at the University of Wisconsin-Madison Mead Witter School of Music. Deeply committed to the spirit of the Wisconsin Idea, the group travels widely to offer its concerts and educational services to students and the public in all corners of the state. Tickets are $20 for adults and $10 for children. For more information, go to www.tlcfa.org or call 715-546-2299. 11th Annual ATV/UTV Charity Ride for Make-A-Wish Wisconsin October 13th7:45am-9pm North Star Banquet Hall, 400 Prosser Place, Antigo. The ride will start & end at North Star Lanes. Riders will have an option, either to ride on their own for the day or the Antigo Area ATV/UTV club will have members available as leaders for riders that are not familiar with the area. The ride is $25 per person or $50 per family (or pledges), which includes dinner. The menu will be ham, turkey, potatoes, and all the other essentials. Sign up on Friday, October 12, 2018, from 5-7pm or Saturday morning from 7:30-8:45am at North Star Lanes. 9am Saturday – Riders Meeting & group photo with riders leaving at approximately 9:15am; 5pm Saturday- Dinner; 6pm – Evening Events begin (Public is welcome with free admission after 6pm). Besides dinner, Saturday evening events include silent auctions, the star raffle, and other raffles. Please visit their website at kmatva.com for addition information on Thursday & Friday rides in Antigo & a description of events each day. For more information please contact Tim at tcrohrer@charter.net or visit kmatva.com. 8th Annual Laona Fall Craft Fair October 13th 9am-2pm Laona High School, 5216 Forest Ave., Laona. Crafters and Vendors will be selling various items including home décor, jewelry, furniture, crochet items, garden art, wood crafts, holiday crafts and more. There will also be a Food Drive – Receive an entry into the door prize raffle for every non-perishable food item you donate!! All items will be given to the local food pantry. The Laona Class of 2023 will be serving concessions along with bake sale items. There will also be games and crafts for the kids. Any vendors interested in having a booth can call 715-889-1386 or email laonacraftfair@gmail.com. Three Eagle Half Marathon & 5K October 13th 9am-12:30pm Reiter Center, 1858 S. Michigan St., Three Lakes. The annual Three Eagle Half Marathon & 5K takes place on the pristine Three Eagle Trail, a 13-mile crushed limestone trail connecting the towns of Eagle River and Three Lakes, Wisconsin. The gorgeous trail is only enhanced by the beautiful Wisconsin Northwoods and its peak Fall colors. This is a chip-timed, point-to-point race. There will be mile markers at every mile and portable toilets and aid stations available along the route. Funds raised will benefit the Three Eagle Trail and the Three Lakes Track & Field and Cross Country programs. Fees/Admission: 5K $30, Half $50. For more information, please call Jayme Wyss at 715-781-9673 or go to http://www.3eaglehalf.com. 26th Annual Pumpkin Fest October 13th 9:30am-3pm Three Lakes High School, 6930 W. School St., Three Lakes. You will find a wide variety of beautiful jewelry, quilts, furniture, various holiday & seasonal décor from about 100 vendors. There will several baked goods and other food for you to purchase and there will also be a farmer’s market outside. Proceeds benefit the all-volunteer Fire Department and the community. There is no admission fee, but attendees are encouraged to bring a nonperishable food item for the local food pantry. Grampa’s Farm October 13th-14th 10am to 5pm N2613 Norwegian Road, Merrill. Bring your family out to Grampa’s Farm to see how Grampa and Gramma ran the farm back in the day. Have a chance at milking a cow, making toys, apple target practice, washing clothes, and so much more. Live animals available for kids to learn how to handle, hay bales for kids to crawl on, wagon rides, pumpkin patch, and corn maze. Activities all day long for the family to enjoy. $10 per person. Kids get to bring home a pumpkin. Porter’s Patch Farmtoberfest October 13th & 14th 11am-4pm W4314 Hwy. 156, Bonduel. Runs every Sat. & Sun thru the end of October, 11am to 4pm, weather permitting. The Little Pumpkin Village includes the 9 acre corn maze, hay rides, corn cob chuck, scarecrow making, pumpkin painting, petting zoo, pumpkin bowling & so much more! Plenty of fall décor for all your decorating needs and all shapes and sizes of pumpkins too. Squash, tomatoes, pie pumpkins and potatoes at the Farm Store. Visit www.PortersPatch.com for complete pricing and event listing. Food & beverages on the grounds. Please call 715-758-8162 for more information. 9th Annual Oktoberfest October 13th 11am Crooked Lake Community Center, Hwy. W, Crooked Lake. Events will include an outdoor craft market, free pumpkin decorating for the kids, free hayrides, minnow races for young and old, beer garden, music by local favorite, Whitey! Pig roast dinner served from 1-5pm with roast pork, stuffing, sauerkraut, applesauce, German potato salad, baby red potatoes, marble rye bread and black forest cake! Raffles all day long! Adults $10, Children 5 yrs. to 10 yrs. $5, Children under 5 yrs. Free! Call Cassie for advance ticket savings at 715-276-6196. Bohemian Fest Parade October 13th 12-2pm Town of Waukechon, Shawano. Parade entries of locals and antiques. Parade Route from Dump Road to Porter Road. 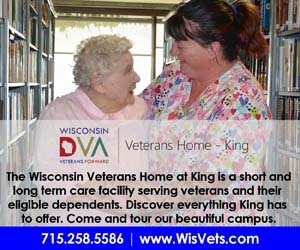 Please call 715-524-4777 for more information. Lake Metonga Association Weeds “n” Walleyes Banquet October 13th 5pm Mole Lake Casino Banquet Hall, 3084 State Highway 55, Crandon. The Weeds ”n” Walleyes Banquet is our one really big “fun”raising event of the year. With hundreds and hundreds of raffle prizes and auction items to bid on, just about no one leaves empty handed and everyone has a great time. Seating is limited so be sure and get your tickets early. Plus, Early Bird special packages are available before the event with bonus value added in. Call Gary and Chris Mueller mueller@newnorth.net 715-478-2049 for more information. Early Bird Specials and regular banquet tickets are available at all Lake Metonga Association events. Lincoln County Humane Society Fall Banquet October 13th 4:30-9pm Les & Jim’s Lincoln Lanes, 1208 N. Center Ave., Merrill. Doors open 4:30pm – Dinner starts at 6pm. Tickets are $50 per person. The price of the ticket includes meal and entrance into the drawing for the grand prize. There will be tons of raffles, a veteran’s raffle, and a dessert auction! For more information, please call 715-536-3459. ArtStart Barn Dance October 13th 5-11pm Rosewood Barn, N10830 South State Hwy 17, Gleason. (7 miles south of Rhinelander near Cty. Hwy. D) Enjoy a real barn dance! Live music and entertainment, dancing, food and cash bar available. Tickets $15 for adults, children 12 and under are free. Visit artstartrhinelander.org or call 715-362-4328 for more information. Tyler Kahle Memorial Field Fundraiser October 13th 5:30-9:30pm Inshalla Country Club, N11060 Clear Lake Road, Tomahawk. Cash bar & hearty appetizers, raffle items, auction items, cash drawings at 9pm. $3,000.00 in cash prizes. Need not be present to win. Tickets: $50 (admits 2) ONLY 250 tickets available. For more information, please call 715-453-4399 or 715-966-0164 or go to https://www.friendsofpridepark.com. St. Joseph Church Harvest Dinner October 14th 8am St. Joseph Church, 182590 Cty. Rd. C, Wittenberg (Galloway). Doors open at 8am. Polka Mass at 9am with music by Smokey Express. Family style dinner from 10:30am-2pm featuring czarnina, chicken soup, chicken, sauerkraut & sausage, vegetables and homemade noodles, rolls & pies. There will also be a country store, raffles, cherry bowl & spin to win. For more information, please call 715-454-6431. Fall Scramble & Horse Race October 14th 11am shotgun start. Riverview Golf Course, W1187 Highland Rd., Antigo. 4 golfers per team – may have only 1 handicap of 9 or less, 1 handicap of 10-14 & 1 handicap of 15-19; must have at least 1 handicap of 20+ & must have a total handicap of 55+. $40 per person (carts not include). Price does include golf, meal & prizes. For more information, please call 715-623-2663. Antigo Gateway Squares October 14th 2-4:30pm Antigo United Methodist Church, 2034 W. 5th Ave., Antigo. Dancers range in age from 10 to 70+ with couples, singles, & youth. The club is very active and fun. Caller is: Steve Gonske, M.C. Club of the Month/Club Meeting After. For more information, please call Rose Marie at 715-623-2128 or Stacie at 715-598-2907. Park, Cemetery & Recreation Commission Meeting October 8th 5:30pm City Hall, 700 Edison St., Antigo. Langlade County Senior Center Board of Directors Meeting October 9th 1pm Langlade County Senior Center, 1225 Langlade Rd., Antigo. Election of officers and induction of new board members. Antigo Optimist Club Meeting October 10th 12-1pm North Star Lanes, 400 Prosser Place, Antigo. City of Antigo Tax Increment Financing Districts Joint Review Board Meeting October 10th 4:45pm City Hall, 700 Edison St., Antigo. City Council Meeting October 10th 6pm City Hall, 700 Edison St., Antigo. Langlade County Humane Society Meeting October 11th 6pm Antigo Public Library, 317 Clermont St., Antigo. Elcho Historical Society Meeting October 11th 7pm Elcho Town Hall, N11234 Dorr St., Elcho. The meeting is open to all individuals interested in preserving the rich history of our proud community. Antigo Library Finance Meeting October 15th 9am Antigo Public Library, 317 Clermont St., Antigo. The Shawano County Historical Society Annual Membership Meeting October 15th 6pm Shawano City Hall, Community Rm., 127 S. Sawyer St., Shawano. Registration and refreshments begin at 5:30pm. Members, guests and the public are invited to attend. Lakewood Area Chamber of Commerce Meeting October 15th 6pm Waubee Lodge, 18398 Waubee Park Ln., Lakewood. For more information, please call 715-276-6500. Baby & Me Group October 8th & October 15th 1:00pm-2:00pm. Langlade Hospital, 112 East Fifth Avenue, Antigo. Langlade Birthing Center, second floor of the hospital. Facilitator: RN/International Board Certified Lactation Consultant. For more information please call 715-623-9280. No fee. AA Support Group (Open) October 11th & October 13th 7:00pm. Langlade Hospital, 112 East Fifth Avenue, Antigo. Langlade Hospital Conference Room 1022, adjacent to Chapel in the new hospital. Thursdays & Saturdays. Narcotics Anonymous October 12th 7:00pm. Langlade Hospital, 112 East Fifth Avenue, Antigo. Langlade Hospital Conference Room 1022, adjacent to Chapel in the Langlade Hospital. AL-ANON Meeting October 8th & October 15th 1:30pm. Antigo Community Church – Quest Center – Room 1, 723 Deleglise Street, Antigo. Mondays at 1:30pm. Overeaters Anonymous October 8th & October 15th 7:00pm. St. Mary & Hyacinth Parish Center, Room 4, 819 3rd Avenue, Antigo. Mondays at 7:00pm. Weight Watchers Meetings October 9th 6:45am & 5:30pm United Methodist Church, 2034 5th Ave., Antigo. T.O.P.S. (Take Off Pounds Sensibly) Support Group Chapter #950 October 9th 4pm Antigo Community Church/School, 723 Deleglise St., Antigo. T.O.P.S. (Take Off Pounds Sensibly) Support Group October 11th 5pm Steffen Memorial Home, 503 5th Ave., Antigo. H2O Cardio Classes October 8th & October 10th 9am Clara R. McKenna Aquatic Center, 111 Western Ave., Antigo. H2O Cardio is a 45 minute high intensity water fitness program which will provide cardio & strength training without the strain & pain to muscles & joints. The water, along with the use of resistance equipment, will challenge all aspects of the body & increase your physical fitness level. For more information, please call 715-627-0497. Zumba Gold is for those looking for a modified Zumba class that recreates the original moves at a lower intensity. Perfect for active older adults and first-timers! Classes are taught by ACE Certified Group Fitness Instructor Terri Johnson. LOCATIONS: Schroeder’s Fitness Studio, 700 S. Superior St., Antigo, Wed, 10am. Elcho School, Mon. & Wed., 4pm; Sat. 9am. First class is FREE. Follow @upnorthfitness at Facebook or visit terrijohnson.zumba.com for schedule changes. Finding Hope Together – Grief Support Group Meeting October 13th 10am-Noon Calvary Lutheran Church, 310 S. Superior St., Antigo. Held the second Saturday of every month. This is a community service provided by Bradley Funeral Home. No registration is necessary, anyone can attend and there is no cost.